The KMT’s tone-deafness was nicely embodied this week by Jason Hu, a veteran KMT figure who lost his re-election campaign after serving for thirteen years as Taichung mayor. Although Hu acknowledged that the KMT had lost because it did not understand young people, he then proceeded to dismiss the younger generation as materialistic ingrates (“if you give them an iPhone 5, they are still mad at you because you did not give them an iPhone 6.”) Hu was clearly not paying attention to the predominantly youth-led social movements that culminated in the Sunflower occupation, itself the perfect embodiment of the seriousness, dedication and sacrifice of many young Taiwanese. The KMT disconnect was especially apparent in the crown jewel of the 11,000 public offices up for grabs in the recent elections: the race for mayor of Taipei City, a KMT stronghold since 1998. After intra-party divisions, Sean Lien, scion of a fabulously wealthy political family with a history of electoral futility (Lien Chan’s feeble third place in the 2000 presidential election, for instance) secured the KMT nomination, where he ran against an independent candidate, Ko Wen-je. Ko’s “anti-politics-as-usual” candidacy perfectly captured the Sunflower Zeitgeist, and the DPP wisely stepped aside, endorsing Ko but watching from the sidelines as Lien proceeded to make a mess of his campaign. One of the curiosities of the campaign was that Ko headed the team of physicians that successfully treated Sean Lien after he was accidentally shot by a gangster while on the stump for a KMT colleague in 2010. Typifying their misjudgment of the political mood, the Lien camp put out disparaging remarks about Ko’s contribution to saving Lien’s life. Lien’s entire campaign was peppered with similar faux pas, all contributing to the prevailing sense that the candidate was an arrogant young princeling and political neophyte flailing out of his depth. Another irony of the campaign was that Ko’s political inexperience, apparent from the many gaffes he also made, became a badge of honor. The difference lay in Ko’s demonstrably humble demeanor, unpracticed sincerity and complete indifference to politicking. In the post-Sunflower era, these characteristics resonated strongly with many of the city’s voters, especially the youth. While Lien marshaled his party’s considerable resources in a remorseless quest to find and throw mud that would stick to his opponent, Ko guilelessly delivered his vision for Taipei; a better functioning and more participatory city free from the malice and machinations of partisan politics. That he was also able to exploit social media was the icing on top, helping him re-create the kind of “yes we can” buzz that surrounded the campaigns of former Taiwanese President Chen Shui-bian and Barack Obama. In normal circumstances the political dynamics at the local level in Taiwan are relatively immune to national political issues. Local networks and factions play a crucial role in channeling resources to supporters, and local elections are usually a competition to control access to these resources. Through its years of authoritarian rule and monopoly on state finances, the KMT developed powerful and enduring local networks. To a certain extent, the political parties’ preferred policies or performance are irrelevant at this level of competition, except that the party in charge at the national level, currently the KMT, is usually better placed to acquire and distribute funds to supporters. This article, published in The National Interest on December 3, continues here. *Jonathan Sullivan is Associate Professor and Deputy Director of the China Policy Institute, University of Nottingham. 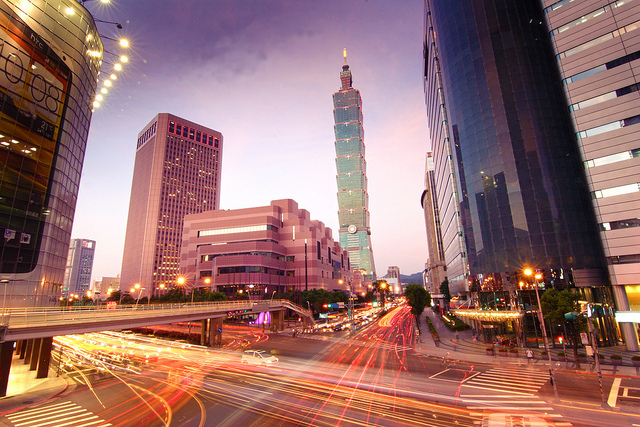 ← Just how local are local elections in Taiwan?